Bryan Kelly earned a bachelor’s degree from the University of Florida..
2003: Bryan Kelly started on the indies working small shows in Florida and Georgia as a ring announcer, interviewer and wrestler..
2004-2007: Bryan Kelly was a News/Traffic/Sports reporter & anchor at WJXT Channel 4 News in Jacksonville, Florida..
September 23, 2006–SCW: Team Vision (Chasyn Rance, Larry Zbyszko and Mister Saint Laurent) defeats Chris Nelson & Michael Cade in a handicap match. October 14, 2006–SCW: Michael Cade was in a heavyweight title match, battle royal won by Jon Davis. March 3, 2007–SCW: Aaron Epic, Jason Hexx and Michael Cade defeated Team Vision (Chasyn Rance, Larry Zbyszko and Mister Saint Laurent). May 19, 2007–SCW: Chris Nelson and Michael Cade defeated Larry Zbyszko and Mister Saint Laurent to win the tag team titles. June 16, 2007–SCW: Michael Cade defeated Jake Manley. October 2, 2007 – Florida Championship Wrestling: Sheaumus O’Shaunnessy defeated Bryan Kelly in a double debut match..
October 13, 2007 – Florida Championship Wrestling: Hade Vansen defeated Bryan Kelly..
October 23, 2007 – Florida Championship Wrestling: “The Carnival Freak” Sinn Bowdee defeated Bryan Kelly..
November 6, 2007 – FCW: Bryan Kelly & Rycklon Stephens & Chet Douglas defeated Hade Vansen & Sheamus & Sinn Bowdee..
November 13, 2007 – Florida Championship Wrestling: Chris Gray defeated Bryan Kelly..
December 1, 2007 – Florida Championship Wrestling: Nick Nemeth & Big Rob Terry defeated Robert Anthony & Bryan Kelly..
December 4, 2007 – Florida Championship Wrestling: Afa Jr. defeated Bryan Kelly. December 18, 2007 – Florida Championship Wrestling: Bryan Kelly defeated Tommy Taylor. January 8, 2008 – Florida Championship Wrestling: Bryan Kelly defeated Steve Lewington. January 15, 2008 – Florida Championship Wrestling: Afa Jr. vs. Bryan Kelly ended in a No Contest after T.J. Wilson interfered. January 22, 2008 – Florida Championship Wrestling: Nick Nemeth & Big Rob Terry defeated Rycklon (Ezekiel Jackson) & Bryan Kelly. January 29, 2008 – Florida Championship Wrestling: Jake Hager & Shawn Osborne defeated Rycklon (Ezekiel Jackson) & Bryan Kelly. February 5, 2008 – Florida Championship Wrestling: Heath Miller & Steve Lewington defeated Bryan Kelly & Rycklon. February 12, 2008 – Florida Championship Wrestling: Nic Nemeth & Brad Allen defeated Rycklon & Bryan Kelly. February 19, 2008 – Florida Championship Wrestling: Eric Perez & Eddie Colon w/Angela Fong defeated Johnny Curtis & Bryan Kelly. March 4, 2008 – Florida Championship Wrestling: Sheamus & Kafu defeated Greg Jackson (Trent Barreta) & Bryan Kelly. April 15, 2008 – Florida Championship Wrestling: Johnny Curtis & Gabe Tuft vs. Bryan Kelly & Rycklon ended in a Double Count-out. May 3, 2008 – Florida Championship Wrestling: Johnny Curtis & Bryan Kelly & Gabe Tuft beat Andrew Vein & Sinn Bowdee & Kafu. June 3, 2008 – Florida Championship Wrestling: Bryan Kelly cut a promo on behalf of Black Pain (who destroyed a member of the ring crew. July 12, 2008 – Florida Championship Wrestling: Big Rob Terry & Colt Cabana defeated Black Pain & Bryan Kelly. July 12, 2008 – Florida Championship Wrestling: Joe Hennig & Gabe Tuft (w/Jimmy Hart) defeated Drew McIntyre & Stu Sanders (w/Bryan Kelly) to win the FCW Tag Team titles. August 2, 2008 – FCW: Evan Bourne & Johnny Curtis & TJ Wilson defeated Afa Jr. & Bryan Kelly & Tyrone Jones. August 26, 2008 – FCW: Afa Jr. & Black Pain w/Bryan Kelly vs. Johnny Curtis & Gabe Tuft ended in a No Contest. September 2, 2008 – Florida Championship Wrestling: Black Pain (with Bryan Kelly) defeated Kafu..
Byron Saxton led a stable known as The Conglomerate consisting of Past and Present FCW stars..
~~~Members of “The Conglomerate included Tyson Tarver, Lawrence Knight, Black Pain, and Kaleb O’Neal..
~~~~~~After the Conglomerate disbanded, Byron Saxton was aligned with Abraham Washington in FCW. September 30, 2008 – FCW: Tyson Tarver vs. Kafu ended in a No Contest after Byron Saxton (Bryan Kelly) interfered..
October 8, 2008 – FCW: Ricky Ortiz & T.J. Wilson & Johnny Prime defeated Kafu & Drew McIntyre & Bryan Kelly..
October 23, 2008 – Florida Championship Wrestling: Stu Bennett & Black Pain w/Byron Saxton defeated Kafu & Ricky Ortiz..
October 25, 2008 – Florida Championship Wrestling: Tyler Reks & Carson Oakley defeated Trent Barreta & Tyson Tarver w/Byron Saxton..
October 28, 2008 – Florida Championship Wrestling: Byron Saxton & Black Pain defeated “Titan” Michael Jarvi & Kafu by disqualification..
October 30, 2008 – Florida Championship Wrestling: Tyson Tarver w/ Byron Saxton defeated Johnny Prime (Lucky Cannon)..
November 20, 2008 – Florida Championship Wrestling: Johnny Prime defeated Tyson Tarver w/Byron Saxton..
November 20, 2008 – FCW: Lupe Santiago & Johnny Prime defeated Lawrence Knight & Byron Saxton w/Tyson Tarver..
December 11, 2008 – Florida Championship Wrestling: Johnny Prime defeated Byron Saxton..
January 22, 2009 – Florida Championship Wrestling: Johnny Curtis & Tyler Reks defeated Caleb O’Neal & Lawrence Knight w/Byron Saxton..
January 31, 2009 – Florida Championship Wrestling: Joe Hennig & Sweet Papi Sanchez defeated Byron Saxton & Ryan Braddock..
February 13, 2009 – Florida Championship Wrestling: Lawrence Knight & Kaleb O’Neal & Tyson Tarver w/Byron Saxton defeated Maverick Darsow & Tank Mulligan & Brett DiBiase..
February 13, 2009 – Florida Championship Wrestling: “Sweet” Papi Sanchez defeated Byron Saxton..
March 13, 2009 – Florida Championship Wrestling: Yoshi Tatsu defeated Byron Saxton by Submission..
March 20, 2009 – Florida Championship Wrestling: Brett DiBiase defeated Byron Saxton..
March 26, 2009 – Florida Championship Wrestling: Kris Logan & DJ Gabriel defeated Byron Saxton & Jon Cutler..
April 2, 2009 – Florida Championship Wrestling: Jon Cutler defeated Byron Saxton and Justin Angel in a 3-WAY..
April 9, 2009 – Florida Championship Wrestling: Lupe Santiago defeated Byron Saxton..
June 18, 2009 – Florida Championship Wrestling: Byron Saxton defeated Yoshi Tatsu after interference from Agent T..
June 19, 2009 – FCW: The Rotundo Brothers defeated Byron Saxton & Agent T (Tevita Fifita) w/Abraham Washington..
October 8, 2009 – Florida Championship Wrestling: Jimmy Uso & Donny Marlow defeated Lennox McEnroe & Byron Saxton..
Late 2009: Byron Saxton joined the ECW announce team along side Josh Mathews..
Byron Saxton remained the ECW announcer (with Josh Mathews) until the FINAL episode (02 / 16 / 2010)..
March 25, 2010–FCW: Byron Saxton & Percy Watson & Big E. Langston beat Donny Marlow & Jimmy Uso & Jules Uso..
April 1, 2010–Florida Championship Wrestling: Byron Saxton defeated Dr. Cable Jones..
April 15, 2010–Florida Championship Wrestling: Byron Saxton & Mason Ryan defeated Johnny Curtis & Tyler Reks..
May 5, 2010–Florida Championship Wrestling: Drake Brewer defeated Byron Saxton..
May 13, 2010–Florida Championship Wrestling: Drake Brewer & Donny Marlow defeated Conrad Tanner & Byron Saxton..
August 5, 2010–Florida Championship Wrestling: Ashley Valence introduced the “One Night Stand GM” Byron Saxton..
August 18, 2010–Florida Championship Wrestling: Byron Saxton is now the “Official Spiritual Consultant” for Donny Marlow..
August 18, 2010–Florida Championship Wrestling: Bo Rotundo defeated “The Polynesian Prince” Donny Marlow (w/Byron Saxton) and “The Mastodon of Mayhem” Brodus Clay in a triple threat match..
September 2, 2010–FCW: Announcer Byron Saxton came down the ring and hit Johnny Curtis while clenching a roll of quarters..
September 15, 2010–FCW: FCW Champion Mason Ryan & Byron Saxton took over the commentary position for the rest of the show..
September 21, 2010–Florida Championship Wrestling: Abraham Washington & Bo Rotundo defeated Johnny Curtis & Derrick Bateman and Byron Saxton & Mason Ryan in a 3-WAY Tag Team match..
September 23, 2010–Florida Championship Wrestling: Byron Saxton defeated Derrick Bateman..
October 28, 2010–Florida Championship Wrestling: Richie Steamboat defeated Byron Saxton..
November 11, 2010: Johnny Curtis & Derrick Bateman & Abraham Washington beat Byron Saxton & Brodus Clay & Jackson Andrews..
December 2, 2010–FCW: Titus O’Neill & Byron Saxton & Damien Sandow defeated Marcus Owens & Xavier Woods & Bo Rotundo.. Note: For most of the Florida Championship Wrestling TV Tapings in 2010, Byron Saxton was the announcer..
December 7, 2010–WWE NXT: Byron Saxton was introduced to the NXT audience by his official “Pro” Chris Masters..
January 6, 2011–Florida Championship Wrestling: Participated in the NXT Season 4 battle royal (Won by Abraham Washington)..
December 14, 2010–WWE NXT: Byron Saxton was the winner of a Karaoke Contest after singing Shawn Michaels’ entrance song..
~~~Ted DiBiase Jr. & Brodus Clay w/Maryse beat “The Masterpiece” Chris Masters & Byron Saxton – (Saxton pinned by DiBiase)..
December 21, 2010–WWE NXT: Byron Saxton participated in the “Wheelbarrow” & “Trivia” challenges (both won by Derrick Bateman)..
~~~~Chris Masters & Byron Saxton & Natalya Neidhart defeated Ted DiBiase Jr. & Brodus Clay & Maryse – (Byron pinned big Brodus!).. December 27, 2010–FCW TV: Byron Saxton, Damien Sandow and Titus O’Neill defeated Abraham Washington, Bo Rotundo and Mason Ryan. December 28, 2010–WWE NXT: Byron Saxton participated in the “Power of the Punch” & “Talent Competition” (won by Johnny Curtis)..
~~~~~~Byron Saxton w/Chris Masters defeated Ted DiBiase Jr. w/Maryse by disqualification after botched interference by “Rookie” Brodus Clay..
January 2, 2011–FCW TV: Mason Ryan defeated Byron Saxton by disqualification. January 4, 2011–WWE NXT: Dolph Ziggler won a Pros Battle Royal eliminating Masters & DiBiase to earn the right to trade Rookies..
~~~~Dolph Ziggler proclaimed that he never liked his assigned NXT Rookie, Jacob Novak, and he was trading him for Byron Saxton! January 8, 2011–FCW: Derrick Bateman, Jacob Novak and Johnny Curtis defeated Brodus Clay, Byron Saxton and Conor O’Brian. January 9, 2011–FCW TV: Abraham Washington defeated Byron Saxton..
January 11, 2011–WWE NXT: Byron Saxton & “Pro” Dolph Ziggler participated in the “Slingshot” and “Password” challenges..
~~~~~~~~~~~~~Conor O’Brian w/Alberto Del Rio & ring announcer Ricardo Rodriguez defeated Byron Saxton w/Dolph Ziggler..
January 18, 2011–WWE NXT: Byron Saxton & “Pro” Dolph Ziggler participated in the “Know Your Pro” challenge..
~~~~~~”The Masterpiece” Chris Masters defeated Byron Saxton w/Dolph Ziggler by submission with the Masterlock..
January 20, 2011–FCW: Bo Rotundo, Brett DiBiase and Richie Steamboat defeated Brodus Clay, Byron Saxton and Mason Ryan. January 25, 2011–WWE NXT: Byron Saxton participated in a “Beat the Fink” Trivia Challenge, but the final four all lost to Howard Finkel! ~~~Brodus Clay defeated Johnny Curtis and Byron Saxton and Derrick Bateman in a 4-WAY to earn a “Swap Your Pro” Opportunity..
January 30, 2011–FCW TV: Johnny Curtis, Percy Watson and Tito Colon defeated Bobby Dutch, Byron Saxton and Conor O’Brian. February 1, 2011–WWE NXT: Participated in Arm-wrestling (won by Johnny Curtis) and Talk the Talk (won by Derrick Bateman)..
~~~~~~~”The Masterpiece” Chris Masters defeated Byron Saxton w/Dolph Ziggler by submission with the Masterlock again..
February 7, 2011–RAW: Byron Saxton defeated Derrick Bateman in the finals of a NXT Rookie Rock’em Rock’em Contest..
~~~Derrick Bateman w/Daniel Bryan defeated Byron Saxton w/Dolph Ziggler by submission using Bryan’s Lebell-lock finisher..
~~~Byron Saxton was eliminated from NXT Season 4…. Dolph Ziggler berated Saxton after he cut an arrogant farewell promo..
February 17, 2011–FCW: Byron Saxton defeated Big E. Langston. February 20, 2011–FCW: Byron Saxton defeated Big E. Langston. February 20, 2011–FCW TV (Taped): Abraham Washington, Derrick Bateman and Johnny Curtis defeated Byron Saxton, Conor O’Brian and Jacob Novak. March 1, 2011–WWE NXT: Derrick Bateman & Conor O’Brian defeated Byron Saxton & Jacob Novak in a Rookie Reunion Match..
March 3, 2011–FCW: Abraham Washington and Percy Watson defeated Byron Saxton and Leo Kruger..
March 8, 2011–WWE NXT (Redemption): Byron Saxton got a second chance on NXT Season 5 getting paired with “Pro” Yoshi Tatsu..
March 15, 2011–NXT: Lucky Cannon and Tyson Kidd defeated Yoshi Tatsu and Byron Saxton..
March 22, 2011–NXT: Lucky Cannon defeated Byron Saxton..
March 29, 2011–NXT: Byron Saxton, Conor O’Brian and Titus O’Neil defeated Darren Young, Jacob Novak and Lucky Cannon..
April 12, 2011–NXT: Jacob Novak defeated Byron Saxton..
April 19, 2011–NXT: Lucky Cannon and Tyson Kidd defeated Yoshi Tatsu and Byron Saxton..
April 24, 2011–FCW TV: Byron Saxton, Calvin Raines and Leo Kruger defeated Donny Marlow, Percy Watson and Roman Leakee. April 26, 2011–NXT: Lucky Cannon defeated Byron Saxton by disqualification..
May 10, 2011–NXT: Byron Saxton defeated Conor O’Brian..
May 17, 2011–NXT: Yoshi Tatsu defeated Byron Saxton..
May 24, 2011–NXT: Lucky Cannon and Tyson Kidd defeated Yoshi Tatsu and Byron Saxton..
May 31, 2011–NXT: Conor O’Brian and Vladimir Kozlov defeated Byron Saxton and Yoshi Tatsu, Darren Young and Chavo Guerrero Jr., Lucky Cannon and Tyson Kidd & Titus O’Neil and Hornswoggle in a tag team gauntlet match. July 3, 2011–FCW TV: Titus O’Neil defeated Byron Saxton by disqualification. March 3, 2012–FCW: Byron Saxton and CJ Parker defeated Jiro and Sakamoto. March 24, 2012–FCW: Byron Saxton defeated Garrett Dylan. April 6, 2012–FCW: Jason Jordan and Richie Steamboat defeated Byron Saxton and Big E. Langston, Dean Ambrose and Leo Kruger & Eli Cottonwood and Kassius Ohno in a 4-way tag team match. April 8, 2012–FCW TV: Byron Saxton vs. Kenneth Cameron ended in a no contest. May 18, 2012–FCW: The Ascension (Conor O’Brian and Kenneth Cameron) & Byron Saxton defeated Rick Victor, Jake Carter and Corey Graves. August 1, 2012–FCW: Xavier Woods defeated Byron Saxton. 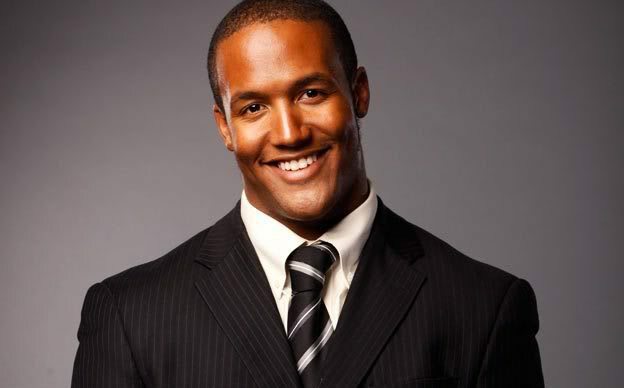 May 2012: Byron Saxton was revealed as a full time announcer for WWE NXT. He later became a NXT ring announcer. He finished as a NXT commentator on December 23, 2013. In March of 2014 Byron Saxton started to do commentary on Main Event and Superstars with Tom Phillips. March 30, 2015 – RAW: Byron Saxton and Jerry Lawler filled in for Michael Cole, JBL, and Booker T after they were brutally assaulted by Brock Lesnar. Saxton left the SmackDown announce team in July 2016 and became exclusive to the Raw announce team following the 2016 WWE Draft.